LOS ANGELES—Hailing the text as a fascinating addition to the author’s established oeuvre, researchers cataloging the personal archives of Michael Crichton announced Wednesday that they had uncovered an unpublished manuscript about an amusement park that operates without a hitch. 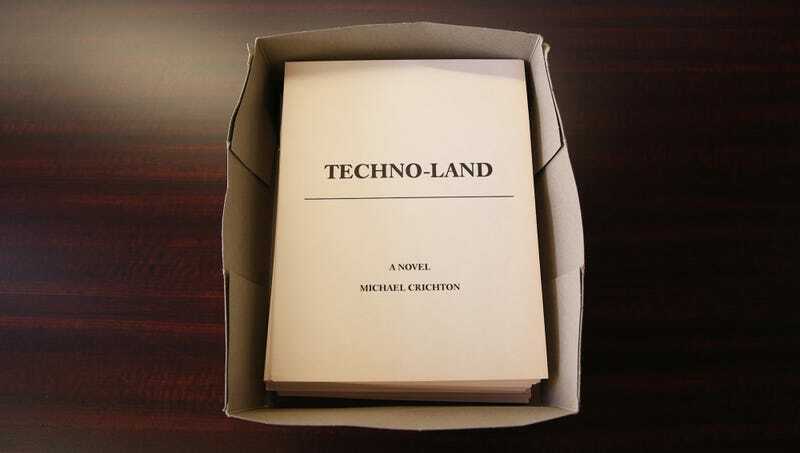 “This is an incredible find,” said researcher Keith Dunbar, telling reporters that the unreleased 435-page novel, titled Techno-Land, centers on an innovative theme park in the near future that holds its opening day without anything major going wrong. “This novel can easily stand alongside anything else Crichton has produced. Whether it’s the rides running smoothly, families remaining together throughout the duration of their stay, or the state-of-the-art security system functioning as intended, this book has it all. There’s one nail-biting scene where dozens of people start swarming the churro stand, and the employees are worried that they’re going to run out of churros, but then at the last second they find another canister of batter in the back. And I don’t want to give too much away, but there’s a subplot involving a rogue employee who considers sabotaging the park before ultimately turning his frustration into productive discussions with management that fans are going to flip for.” Dunbar added that despite it having been written more than 20 years ago, the novel was remarkably prescient in its depiction of a society that blindly placed its faith in science and reaped no consequences whatsoever.